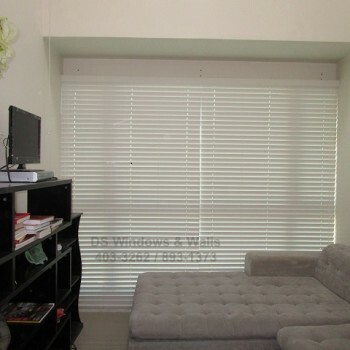 Combi blind window covering is one of the easiest to operate and comes with more benefits in appearance, function and maintenance. It is made of 100 percent polyester fabric that is known for its durability, resistance to most chemicals, easy to wash and dry and retains its shapes in all types of weather condition making it more adaptable here in Philippines climate. Combi Blinds was introduced in the market just a few years ago, and it was well received in the market that it immediately manufacture new series of designs. Pleated and Elegancy Series were one of the first batch that offer additional horizontal fine lines in the fabric that bring elegance in its appearance. There are also Curves and Waves Series that gives a fresh and way different combi blinds feature with its more define details in design and imitation for horizontal blinds. There are more different types with unique feature to one another, but we’re going to focus on Magic Series – the Pleat & Twist type for this article. Pleat & Twist series is also made of 100 percent polyester fabric that are also available in several color choices to choose from. 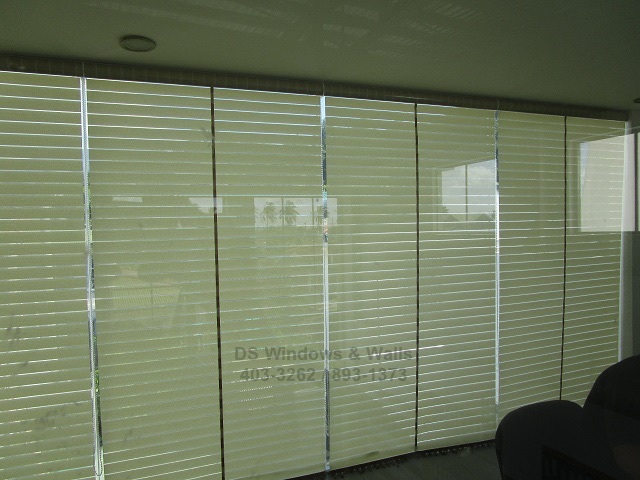 Like the regular combi blinds it also composes of sheer and solid fabric yet the sheer part is a lot narrower that it looks more like a transparent line as you can see in the picture below. Regular combi blinds are also composed of two layers of fabric yet when it comes to Pleat & Twist series is only made of one layer that makes it more different and special. 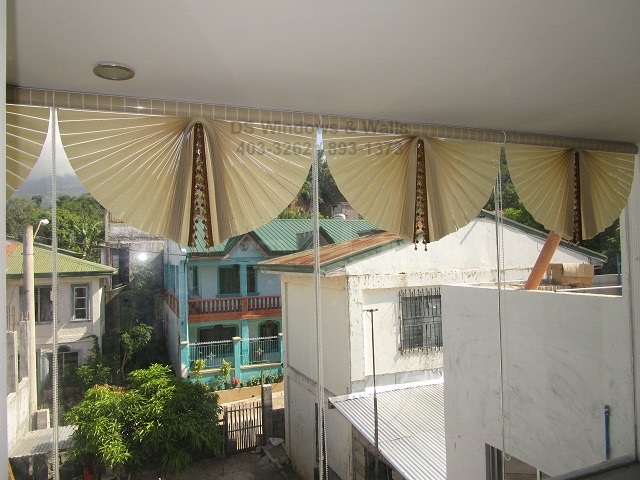 One of the unique feature of Pleat & Twist is its attractive dangling chain at the bottom and its unique way of moving up that form a decorative and stylish design for a window dressing. 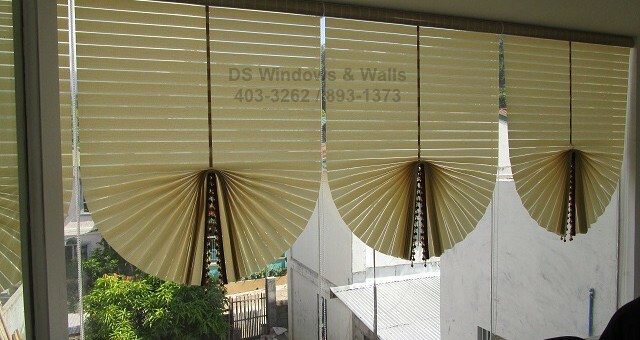 Showing in the 1st and 2nd photos where you can see that the fabric is folded in the middle that somehow form a pleated fabric that appear like a fan create a unique combi blinds that no other blinds can offer. The attractive chain also makes it more noticeable and add to its uniqueness and charm. One of the downside of Pleat & Twist Magic Series is that the maximum width it can be made into is 1.2 meters due to the nature of its design and fabrication methods. Pleat & Twist Combi Blinds is a one of a kind design that surely can enhance and make a huge difference in your interior design where no other binds can ever accomplish. 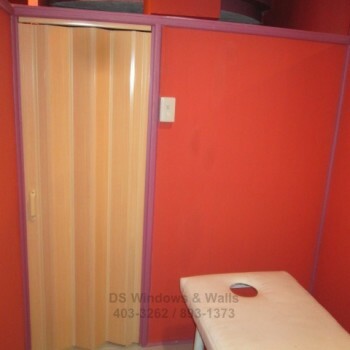 For more inquiries please call us at (02) 893-1373 / (02) 403-3262 / (02) 668-9668 / 0916-311-3909 or visit our showroom at 2nd level Pacific Mall Lucena City, 3rd level Robinsons Metro East, Pasig City and 4th level Waltermart, Makati City.